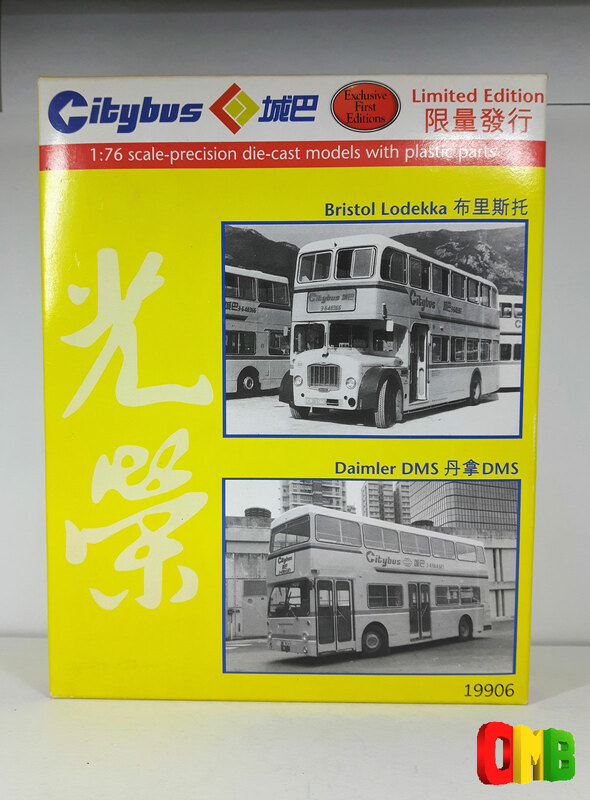 The model - Citybus issued this DMS/Lodekka set in Hong Kong during July 2000. It features the Lodekka model already issued (Model No. 13912), and a variation of the recently released DMS model, which has chinese registration and adverts for their cross border service (the National Express style ones). The vehicle identity is also different. To add even more value to the set, there is illustrated colour fleetlist correct at 31/12/86, a Citybus pen, a fridge magnet, and a key ring with the Daimler scroll etched on one side and the Citybus fleetname on the other. 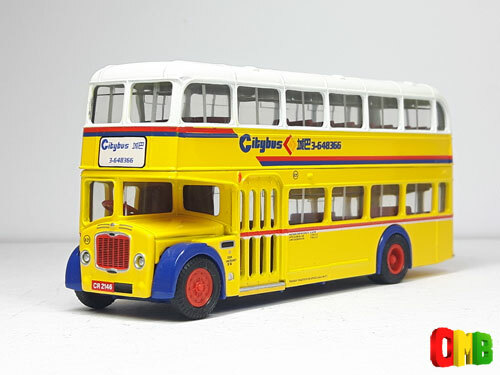 The set is being handled by Citybus, and is not available through the EFE collectors club, however it is available in the UK through Digby's Miniature Automobiles. The bus - This model is based on the only Bristol Lodekka to enter service in Hong Kong. Originally AVW 397F, and new to Eastern National Omnibus Co in 1968, this bus joined the Citybus fleet in 1981 and remained in service until 1989. The vehicle was modified to allow more ventilation in the hot humid climate of Hong Kong with the addition of horizontal sliding windows, apart from this the bus appeared unchanged, although in 1985, it was converted to open-top.